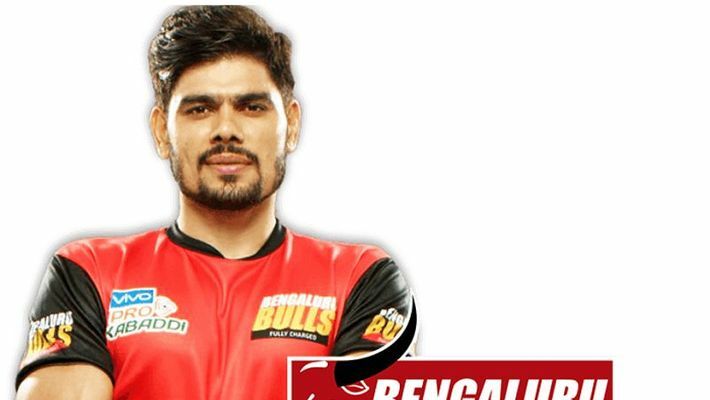 Bengaluru: Rohit Kumar put in a solid all-round performance to guide Bengaluru Bulls to a dominating 41-29 win over Gujarat Fortunegiants in the first qualifier and storm into the final of Pro Kabaddi League Season 6 on Monday. Pawan Sehrawat continued his fine run of form and top scored for the Bengaluru Bulls with 13 raid points, while skipper Rohit Kumar amassed 11 points at the Rajiv Gandhi Indoor Stadium. Sachin scored another super 10 for Gujarat Fortunegiants and was ably supported by Prapanjan who scored 5 raid points, but it was not enough in the end. While Bengaluru Bulls have qualified for the final, Gujarat still have a chance to make it to the finals when they play in the second qualifier against UP Yoddha, who beat Dabang Delhi 45-33 in the second match of the night. Pawan opened the Bengaluru account with a running hand touch in the second minute while Sachin secured a two-point raid for Gujarat. It was Sachin who kept the Fortunegiants going in the initial period of the match by picking bonus and raid points. After seven minutes of play both teams were level on 7 points apiece as Prapanjan made a successful raid for Gujarat, whose famed defence was having a quiet first half and took 11 minutes to score their first tackle point. It was an extremely cagey affair with both teams playing with a bit of caution. Bengaluru Bulls were reduced to just three men when substitute Sumit Singh made a crucial do-or-die raid. At the end of the first half, Gujarat Fortunegiants held a slender one-point advantage to lead 14-13. The first part of the second half was a close affair yet again with the biggest surprise being Parvesh Bhainswal and Sunil Kumar struggling to get a tackle point. Gujarat inflicted an all-out in the 33rd minute to lead 26-20. Pawan then came up with a terrific super raid, picking up three points to bring Bengaluru back in the game. Sehrawat followed it up with another super raid as Bengaluru Bulls inflicted an all out to lead 29-26. With less than four minutes to go, Bengaluru Bulls led 32-26 and looked in control of the match. In the 39th minute, Bengaluru inflicted an all out to secure their place in the final.